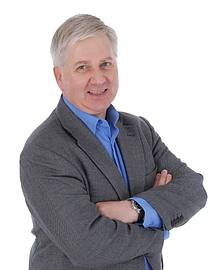 I am Graham Jones and I work with business owners and senior executives, CEOs and those involved in strategic business decisions to help them ensure that their business uses the Internet effectively. Whether your business needs to gain more profit from the Internet, grow as a result of the Internet, or use it effectively internally, I help you develop the right strategies and plans. Rather than approaching things from a technological perspective, I look at the Internet from the human angle. This means ensuring your online activities help you form better relationships with customers and potential clients, for example. And if it's internal Internet use, how, for instance, can your staff be more productive and more motivated to use particular technologies? I deliver my work in consultancy sessions, online, in workshops and seminars and in speeches. I have worked as a conference speaker for more than 20 years and I am a long-standing and active member of The Professional Speaking Association in the UK and the National Speakers Association in the USA. I am also an award-winning writer who has written widely on a range of business and psychology issues, particularly on the psychological aspects of business. I am the author of 28 books, mainly on business topics and I am a contributor to several other books. I have written thousands of articles, which have appeared in national newspapers, magazines and journals around the world. I also regularly appear as a guest on radio and TV to comment on various aspects of the Internet. I am an Associate Lecturer in Developmental Psychology at the Open University and I am a Visiting Lecturer in E-business at the University of Buckingham. Professional qualifications and memberships: B.Sc. (Hons) B.A. (Hons) Adv. Dip. Ed., M.Ed., M.Sc., MBPsS, FPSA, Member of the Society of Authors. The PSA is the professional body of the speaking industry in the UK and is recognised internationally as the number one organisation for professional speakers. Helping businesses understand how their customers behave online so that they can more appropriately connect with them. Delivery of my work is via conference speaking, seminars, masterclasses, coaching and consultancy. Visiting lecturer in E-business and E-commerce for MBA students and for those taking the B.Sc degree in Business Enterprise. Media First is the UK's premiere training consultancy for large corporates who wish to communicate effectively. I have been the company's preferred consultant to help executives make better speeches and presentations. I have worked with Vodafone, Lucent Technologies, AT&T, Barclays Bank, Quantel and many others in my partnership with Media First. ConvaTec is part of Bristol Myers Squibb, and is the world leader in its sector. On a freelance I wrote and produced several magazines, conferences, seminars and workshops for nurses, doctors and medical marketing teams. One of the conferences, attended by over 2,000 people and held at the Palais de Congres in Cannes, France, won the "Conference of the Year Award" run by the Incentive, Travel and Meetings Association. I wrote articles for the daily Science Notes column in the Times and also for the Innovations Page in the Sunday Times. I was the Science Editor of Doctor and Hospital Doctor newspapers, two weekly publications for the medical profession in the UK. During my time at these publications I had to manage a team of six writers, several dozen freelance contributors and represent the newspapers at public seminars and conferences. I was responsible for representing several recording artists, including Roxy Music, The Who, Jeanne-Michelle Jarre, Sham 69 and Siouxsie and the Banshees. I helped them increase their positive media profile and had to talk about them at public appearances. I was a freelance contributor to BBC Radio Medway, a local radio station now renamed BBC Radio Kent. I worked mainly on the Breakfast Show and later on the Drive Time programme. Visiting Lecturer in E-commerce and E-business for undergraduates and MBA students. Lecturer for degrees in psychology and child/youth studies. Keynote Speaker and Internet Speaker talking about psychology of business use of the internet and social media. Author of 28 books, mostly on business topics. 12 books are about the Internet, including psychological aspects of the Internet. Also contributor to many other titles, including Reader's Digest books.